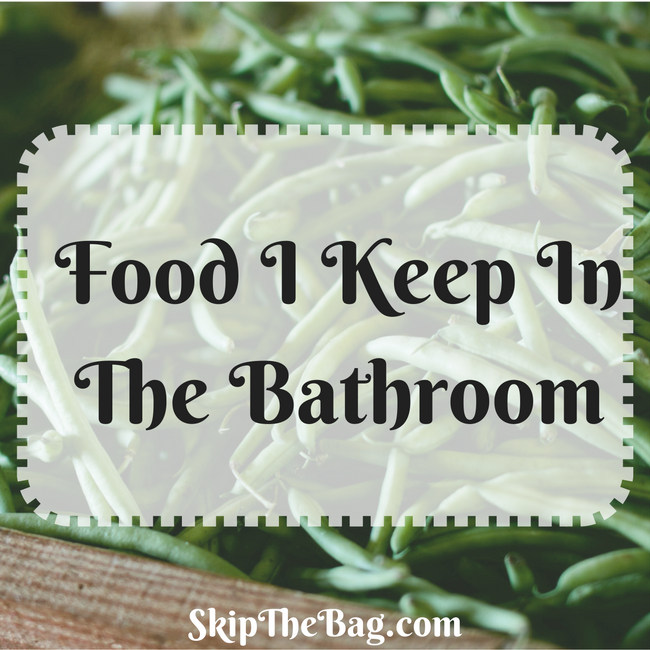 Do you keep food in the bathroom? I do! Not for eating, of course, that might just be weird. But I do use common food products in place of typical beauty products. 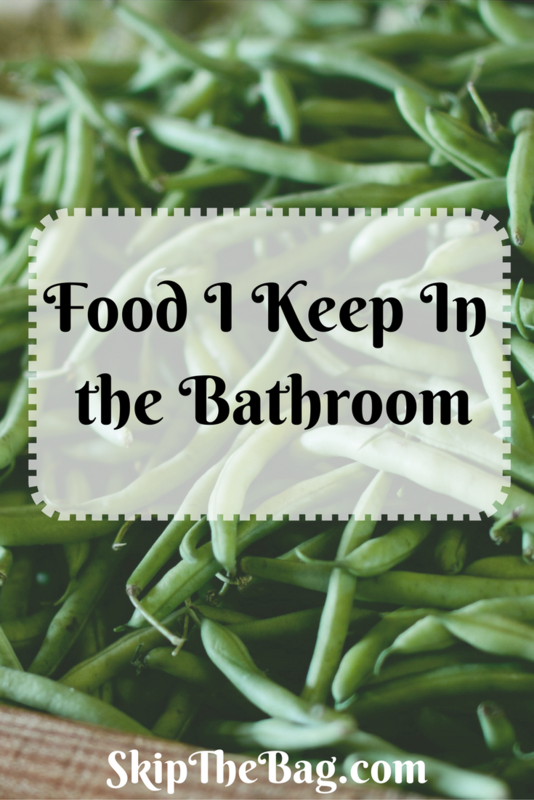 So what food do I have in the bathroom? I use this as a moisturizer, predominantly for my face, but my whole body if it needs it. It absorbs quickly and isn't overly greasy. As I've mentioned I use the oil cleansing method and don't wash my face with soap. I'm currently using olive oil as my oil, but I've used other oils in the past. I also use this as a moisturizer for my face and body. I mix this with the oil for face exfoliation. It works great. It might be a little too harsh for some, so in that case I'd recommend sugar. Sugar is a more gentle exfoliator because of the crystal shape. The salt is more square so it can be harsher. Neither one dissolves in the oil, so it works as a great exfoliator with the oil cleansing method. As you may recall from the zero waste shampoo discussions, cornstarch works as a dry shampoo. It works to absorb the oils from the scalp where you can brush it away. I've also used cornstarch as a sort of makeup primer to absorb sweat and keep my face makeup from running. Be careful not to use too much or you'll end up with white streaks though! Back when I was washing my hair with baking soda (another food I've kept in the bathroom!) I was doing apple cider vinegar rinses. Right now I'm finishing up my Lush conditioner bar, but when I'm done I'm going to give apple cider vinegar another shot. I mixed 1-2 tablespoons in with a cup of water and rinsed it in my hair. Then I would rinse it out and dry and style as normal. I'll let you know if it works as well after using a shampoo bar as it did after using the baking soda washes. Do you have any food products in your bathroom? Yeah, I use a lot of those too. I use baking soda on my face on days when I wear makeup. It does a great job of getting everything off and exfoliating at the same time. Baking soda is a great exfoliator! I also use a lot of these, coconut oil is my favourite hand/food moisturiser (it does my eczema really good too! ), almond oil as facial moisturiser and as a leave in conditioner for my hair, lemon juice as a hair rinse/conditioner, and salt to mix with lemon juice to make a hair and scalp scrub, I also have an aloe vera plant in the bathroom that I break bits off of to treat skin or to wash my hair with. I'd had almond oil to do my oil cleansing method originally, I've not tried it in my hair though! Also I imagine the lemon juice works similarly to the apple cider vinegar as they are both acidic. I didn't know that aloe trick. Thank you so much for sharing! I'll have to try some of these. Hi Katy, Great ideas! For years I have kept vinegar in my bathroom in a spray bottle. I spray it on my feet and between my toes to prevent athlete's foot. I also spray it in any skin folds (like under your breasts) to prevent/treat any heat rash, etc. Works really well. I brush my teeth with baking soda. My dental hygienist gave me the tip. My teeth are white, my breath is sweet, and my gums are healthy! Great tips! Thanks for sharing with us on the Homesteader Hop!